If you are looking for an easy way out for designing a floor for your home or office, now there are apps which would do it for you. All you have to do is feeding up the correct measurements. FLoorplanner is one such app which appeared to be quite handy and easy to use for every type of user. Check out the features and find out if that is the right choice for you. When apps are helping us out in almost everything we do, it can easily include one more major field like Home Decor. Now home décor would be much more easier with such kind of an app, which helps you in each of the stage of going for a home decoration planning, whether it has to start from a scratch or improve the way of its existing look. It is supposedly a tool that can be used both by a layman and skilled professional. Searching for such a tool, I came across this app named Floorplanner, and while skimming through its surface, I felt like going a little bit more deep and found it quite impressive. Floorplanner is a free house design program that has stacked up quite a good range of useful tools that help in planning a design for your house. It has clubbed utilization of space with your taste and preferences. Whether you are a novice or a professional architect, the app has put together all the necessary ways and means to create a dream home or an office space with a plush look wisely managed. Starting from the account of measurements to its graphical presentations, it is all a breeze to chalk out the exact floor space that you can utilize for a lavish decoration with the latest concept of space management. To create the perfect design for a home or office space the first step it requires is measuring the floor along with its different parts. Floorplanner has been particularly designed to meet this requirement of measurement through a programming called "snap" that creates perfectly cut right angles for allotment of room spaces and convex tools to create the rounded areas of the surrounding walls. Irrespective of all skill levels one can easily draw perfect lines with the correct measurements in Floorplanner uses the "snap" tool. Once a figure is drawn, which they call as "walls", they can be moved about at any direction to create more space or cut down on some other spaces. While planning out a floor design, the placement, size and directions of doors and windows can make and break. To set them right, this app has arranged a separate section for selecting the doors and windows in the tools that will give you a visual support to whatever shape your design is going to take. After the initial placement of these doors and windows on your walls, you can preview the total effect and are free to make the necessary changes. Apart from adjusting the numbers, size and placement of these doors and windows, you would also get a detailed prop that would stand for the exact measurement including the furniture you have included. Apart from displaying the designs from a top view, the app has the option of rendering a project in Three Dimensional approach. And that gives it a virtual life where you get to see your project the way it would actually look like. With this feature you can make as many changes you want till you get the picture perfect. The entire process goes on in a two-fold set of activity. You have to start with creating a Two-dimensional mode of project in order to render it in a 3D mode. Switching among these two views is very simple and no doubt this feature is indeed an useful one to get quick displays of whatever changes are made and it gives you a feeling of just being there right inside the room. Floorplanner uses flash programming and also a complimentary app which is made available for iOS products which would work along with a user's Floorplanner account. 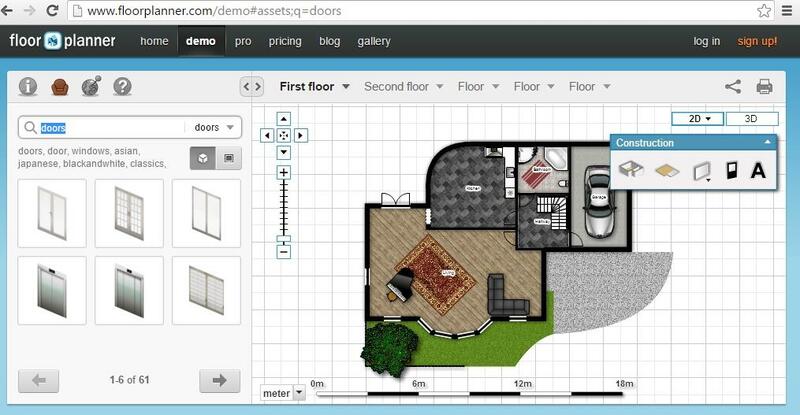 Being a basic, simple and free floor plan software tool, Floorplanner features an array of simple tool set which allow you to create complete rooms with walls, dragging and dropping doors, windows, skylights, staircases, furniture, plumbing fixtures, cars, garages, and even people from its library. Though you can start using Floorplanner as a free user, you will have limited development features allowed to you in comparison to the paid versions. To increase the nature of functionality one has to pay higher subscription fees. 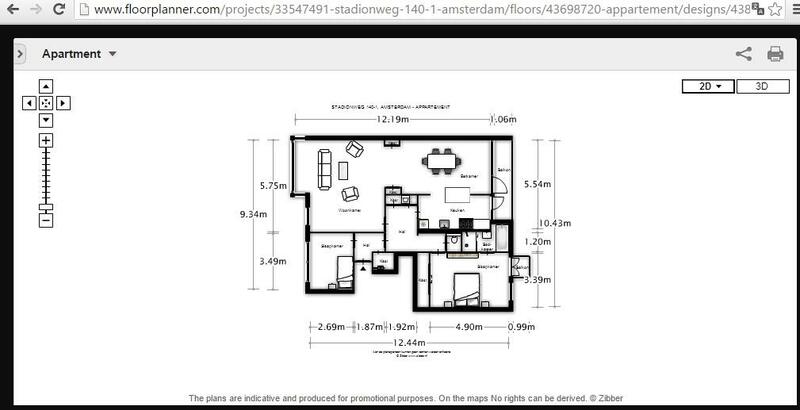 To save or print your drawings, a free account with Floorplanner will be necessary. $4.99 is the price for each additional plan, that gives you the features of integrating photos and videos in iOS app. The Plus Plan costs you $14.95 per year where you can save Five projects per year, and it would take $2.99 for each additional plan. To get features like PDF exporting 3D rendering, and embedding abilities, one has to go Pro for $29.00 per month. With this plan one can have 15 saved projects in a month, where it would cost $1.99 for each additional plan, and you get branding and multiple staff login feature included in this package. It is definitely a good plan for high end architect professionals. 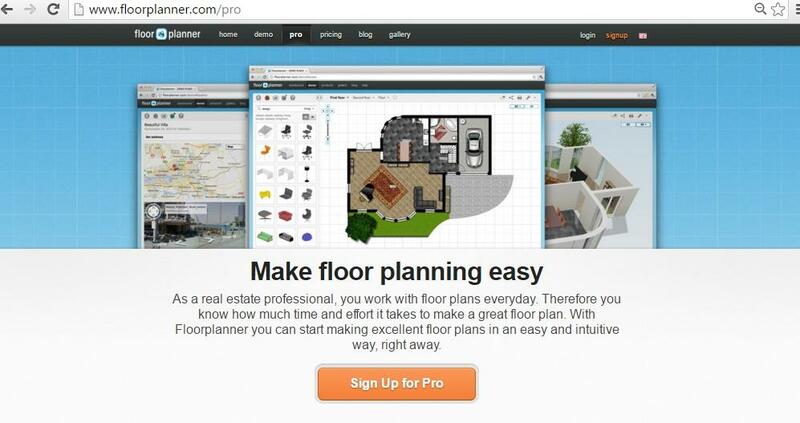 Floorplanner.com allows its users to print and share their projects across all the social networking platforms like Facebook, Twitter, through direct email service and embedding the project into one's website. This comes really handy for the professional designers and developers as they can highlight their skills as well as advertise their upcoming project through a worldwide online presence. The first and foremost convenience of this app is that you can try your hand on it without shelling out a penny, as it has a free pack available for all. The app is quite intuitive with a clean and easy to use interface. The app does work fast and smooth. Has got a good number of useful and high-end tools that comes handy to all kinds of users. The biggest inconvenience which I faced is that you cannot compare multiple floors at the same time to get the right picture, as only one floor is visible at a time. This takes a little bit of time and can also create a sort of confusion while making up the floors with the same measurements but with different plans. Creating scaled drawings is not available. Features like Cloning the existing level, structural features to show the frame is missing till now. 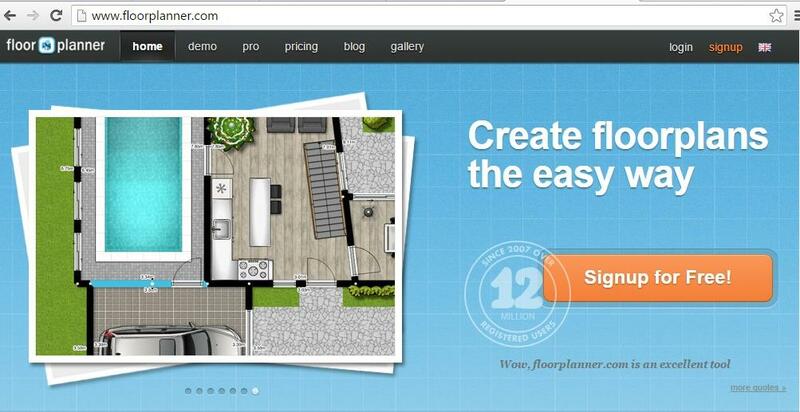 To sum up, as a home designing software Floorplanner holds great functionality, that is versatile in nature. The app has a good, easy to use interface that can be exploited to its full in developing detailed floor plans which is now the demand of the day. Because of its flexibility of customization, the designs can be easily modified. While the "snap" feature makes it possible to figure out the exact measurement, the color pallet fills up the project with the ideal colours of your dream. The pricing though could appear a little bit expensive, the app surely compensates with its usability and functionality.